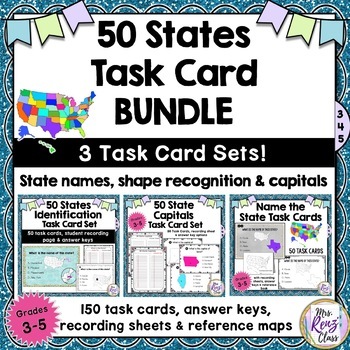 Name the 50 State Task Cards - 50 States Naming Task Card Set & More! 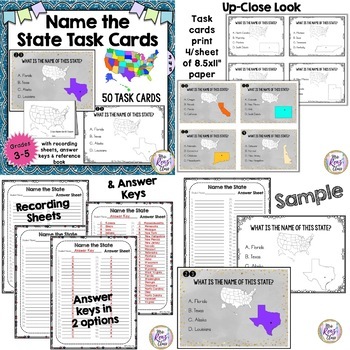 Use task cards to help students learn the 50 state names and shapes of the 50 states and the state capitals. This bundle includes 3 products priced to save money! 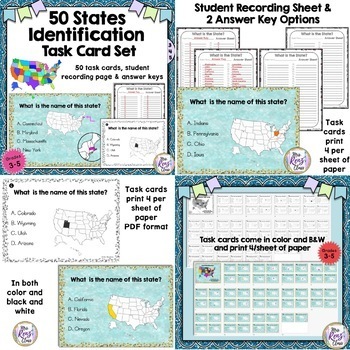 See the individual product files to see everything included in this fun bundled set. 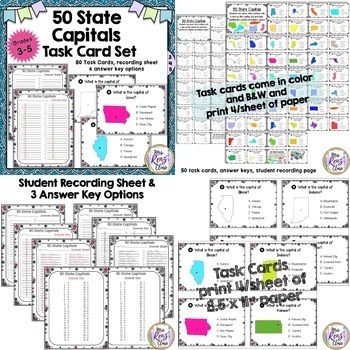 Each set comes with a student recording sheet and answer keys plus reference helpers.